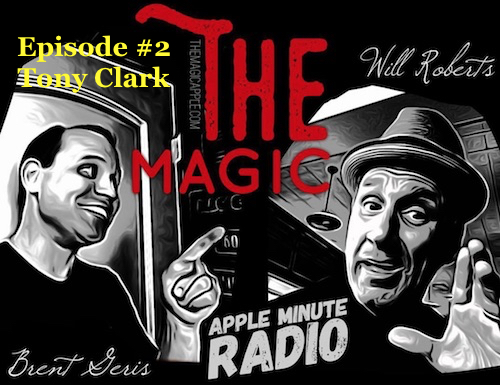 This week we were THRILL to have Tony Clark (TonyClarkMagic.com) stop by the store and the radio studio. Listen to this GREAT conversations with a true professional and ledge of magic! Born and raised in Stamford, Connecticut as Antonio Gublet, Tony Clark’s fascination with entertainment began with ventriloquism at the early age of six. This, in turn, sparked his interest in magic. Throughout his grammar school years, he began winning many talent competitions. In both 1984 and 1985 Tony was the winner of the Teenage Magician of the Year stage contest for the International Brotherhood of Magicians Ring #97 of Stamford. By age 18, he had already gained international recognition for his accomplishments. In 1986, Tony had the honor of studying the art of magic and stage movement with the master of misdirection, Slydini, in New York City, as did world-famous illusionist Doug Henning and many other well-known professionals. That 2 1/2 year period of study allowed Tony to become one of the top magicians in the world. For the next 10 years Tony became a regular performer at the world-famous Magic Castle in Hollywood, California, as well as in casino showrooms and nightclubs from Las Vegas and Puerto Rico to Europe and Japan. Tony was also nominated for Stage Magician of the Year by the Magic Castle, as well as World’s best Sleight-of-hand Magician at the International Magic Awards. he was named World Class Stage Champion by the Society of American Magicians, and he is a recipient of the Bill Baird Award for Excellence in Manipulation. Many years of hard work have culminated in Tony executive-producing and starring in his own full evening show, Phantasy, at the Horizon Hotel and Casino in Lake Tahoe, Nevada. Phantasy made history being the longest running show ever, in Lake Tahoe. 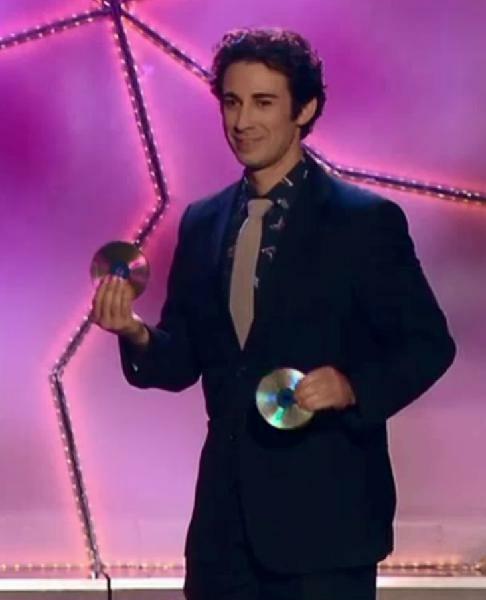 Because of this and his many other contributions to the art of magic over the years, Tony was awarded the Best Classical Magic Act Award at the World Magic Awards which aired on CBS TV. In Addition to being a world-renowned performer, Tony has his own production company under which he manufactures a unique line of magic products, lectures on all areas of magic, consults, and produces shows. 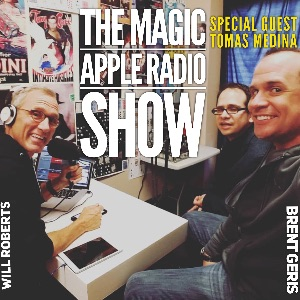 Magic Apple Radio SHOW with guest Magician Tomas Medina! 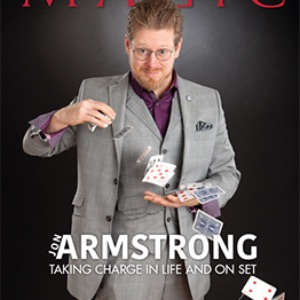 Listen to my newest episode Magic Apple Radio SHOWWinner of numerous awards, including Close Up Magician of the Year, Jon Armstrong has brought his amazing skills and magical comedy to prestigious audiences in over 30 countries worldwide. Growing up in Orlando, Florida, Jon became fascinated by the magic he saw in the theme parks around him and dreamed of having his own show. This dream came true when Disney asked him to bring his act to Epcot and he became the resident magician at Walt Disney World. He was only 20. After spending 5 years doing his show at Disney World, Vegas called and Jon answered, becoming a recurring headliner at Caesar's Magical Empire. It was between these runs in Vegas that Jon started doing tours all over the world as both a performer and lecturer, teaching others how to add humor and entertainment to their magic. Jon has also worked on many films and television shows such as "The Mentalist", "Spiderman 3" and "AntMan" as a magic consultant and designer, and is co-creator of the IDW comic series Smoke and Mirrors. 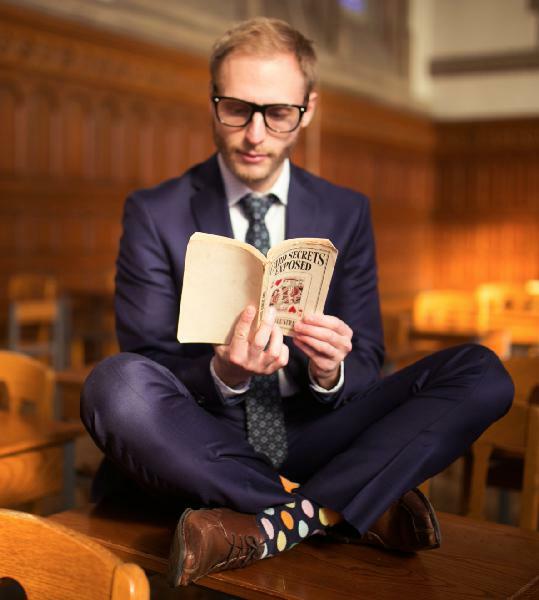 Jon stars in the new NetFlix documentary Magicians: Life in the Impossible, about his life in magicJon now lives in Los Angeles and is a frequent performer at the world famous Magic Castle. His TV appearances as a talk show guest, featured performer or actor, include shows like NBC's "The Today Show", and "Tonight Show", "Magic Castle After Dark" on A&E, CW's "Penn and Teller Fool Us", Fox's "Masters of Illusion" and ABC's "Bachelorette." He has been featured in cover stories of trade publications like Magic, Genii and other magic journals worldwide. Articles have been done on him in The New York Times, LA Magazine and Harpers, just to name a few.When you see him live, Jon's hope is that you will laugh at his original humor, be amazed by his skills and most of all, feel like you made a new friend. 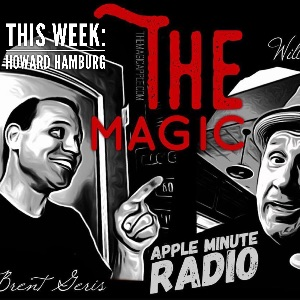 Listen to our newest episode of the Magic Apple radio show. A talent scout serendipitously spotted a teen-aged Jack Handsome skipping school at Schwab’s Drug Store, and asked his name. “Jack Handsome,” came the reply. The talent scout said, “Jack Handsome? Handsome Jack is more like it!” and a modeling career was born. In mid-career Jack took up magic when a photographer informed him that “magicians get all the groupies.” It wasn’t until years later that Jack learned he had said musicians, not magicians. But by then it was too late to pick up a guitar.Handsome Jack holds a Master of Fine Arts in Theatre from the University of Washington in Seattle, and currently lives in Los Angeles. He is a regular performer at the world-famous Magic Castle in Hollywood, where he has been nominated each of the last eleven years as Parlour Magician of the Year (which, of course, means he’s lost… eleven years in a row).As a popular entertainer at social events and corporate functions, he has wowed such celebrities as Michael Jackson, Morgan Freeman, Bill Pullman, Lucy Liu, Holly Hunter, Nicolas Cage, and Angelina Jolie. Live the lifestyle of the rich and famous by having Handsome Jack liven up your next party or event. Handsome is as handsome does. My good old friend @magicfungi directed a show in Las Vegas and it opens tonight at 10 PM. https://www.thespacelv.com/event/340/ ( click profile link for show details) The Psychic HillBilly is a comedy #magic show! Each trick taught by a titan of the magic world. Matt is embarrassed by how many connections he has to the titans of the magic world. Respectfully, Matt approached Penn, Teller, Johnny Thompson, Piff and more, and asked them- "Will you teach me one trick"? They all said “yes”. Behold! A bonafide bear wrestling, mud loving, mind noodler! On a dare from Penn Jillette, Matt created a comedy magic show and learned tricks from Penn, Teller, Johnny Thompson, Piff The Magic Dragon, Mac King, Eric Dittleman, and Brian Brushwood. Directed by RJ Owens. #Vegas #LasVegas #TheStrip #TheSpaceLV #Magic #PenAndTellersode and discover more fascinating content from my channel! 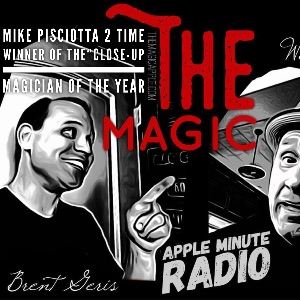 Mike Pisciotta this week on the Magic Apple Radio Show ! 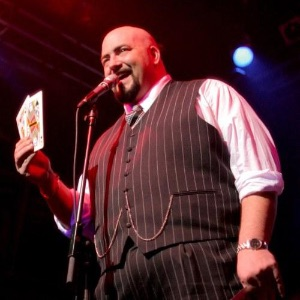 Mike Pisciotta is an acclaimed performer based in Los Angeles, CA and serves as the resident magician for the world famous Magic Castle in Hollywood. Mike creates powerful, beautiful moments of mystery, and his performances leave the viewer with a profound sense of wonder.Mike is recognized by his peers as one of the greatest performing magicians today, and is a two time winner of the prestigious “Close-Up Magician of the Year” award for the Academy of Magical Arts.Subterranean Deceptions: Subterranean Deceptions by Mike Pisciotta “Mike Pisciotta is the hidden gem of the Magic Castle. Now, less hidden.” – Max Maven After years of pestering him, Mike has FINALLY agreed to release these routines! Shot in HD, complete with live performances and full explanations! Over 90 minutes of magic on this DVD. You will learn, SEVEN FULL Routines that you will ADD to your repertoire!Devil Makes Three: One of the cleanest Coins Across effects in magic. This is Mike’s favorite routine with 3 coins! If you learn nothing else on this DVD, learn The Devil Makes Three!Coming Up: A card rises out of the middle of the deck with no gimmicks, no threads. Just a deck of cards.Mike’s 2 Cents: An amazing magic trick with a special gimmick (you probably already own) and a borrowed cell phone.Boxing Match: An impromptu card through box that can be done with borrowed decks!Open to Change: An open prediction with a bill, a card and a cell phone! Includes a specially printed gimmick from the USPCCFlying Sandwich: A transposition sandwich trick that has fooled everyone! Includes specially printed cards from the USPCCShaken Not Stirred: Mike’s handling of the classic Triumph routine that is one of his most requested tricks at the bar.THIS DVD COMES WITH THE CARDS NEEDED FOR 2 OF THE ROUTINES. WE OFFER REFILL PACKS AND ALSO THE COINS FOR 2 OTHER ROUTINES CAN BE ADDED TO YOUR ORDER! $ 34.95 < Order here ! Tell them Magic Apple Radio sent you! 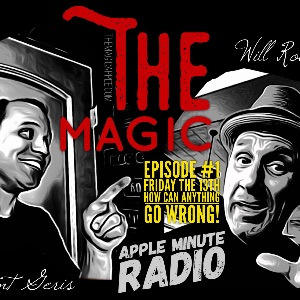 Mike Pisciotta this week on the Magic Apple Radio Show ! This week we were THRILL to have Tony Clark (TonyClarkMagic.com) stop by the store and the radio studio. Listen to this GREAT conversations with a true professional and ledge of magic! Follow Us on Twitter.com/The_Magic_Apple Instagram.com/MagicAppleRadioInstagram.com/MagicAppleStorewww.TheMagicApple.com Tony's Bio:TONY CLARK: TonyClarkMagic.comTwitter.com/TonyClark_liveInstagram.com/TonyClarkMagic_________ * Born and raised in Stamford, Connecticut as Antonio Gublet, Tony Clark’s fascination with entertainment began with ventriloquism at the early age of six. This, in turn, sparked his interest in magic. Throughout his grammar school years, he began winning many talent competitions. In both 1984 and 1985 Tony was the winner of the Teenage Magician of the Year stage contest for the International Brotherhood of Magicians Ring #97 of Stamford. By age 18, he had already gained international recognition for his accomplishments.In 1986, Tony had the honor of studying the art of magic and stage movement with the master of misdirection, Slydini, in New York City, as did world-famous illusionist Doug Henning and many other well-known professionals. That 2 1/2 year period of study allowed Tony to become one of the top magicians in the world.For the next 10 years Tony became a regular performer at the world-famous Magic Castle in Hollywood, California, as well as in casino showrooms and nightclubs from Las Vegas and Puerto Rico to Europe and Japan.Tony was also nominated for Stage Magician of the Year by the Magic Castle, as well as World’s best Sleight-of-hand Magician at the International Magic Awards. he was named World Class Stage Champion by the Society of American Magicians, and he is a recipient of the Bill Baird Award for Excellence in Manipulation.Many years of hard work have culminated in Tony executive-producing and starring in his own full evening show, Phantasy, at the Horizon Hotel and Casino in Lake Tahoe, Nevada. Phantasy made history being the longest running show ever, in Lake Tahoe. Because of this and his many other contributions to the art of magic over the years, Tony was awarded the Best Classical Magic Act Award at the World Magic Awards which aired on CBS TV.In Addition to being a world-renowned performer, Tony has his own production company under which he manufactures a unique line of magic products, lectures on all areas of magic, consults, and produces shows. Episode #1. 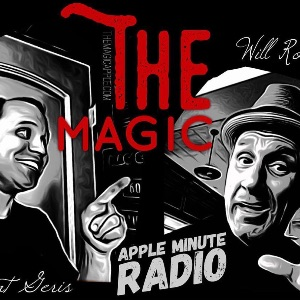 The Magic Apple radio Show A weekly radio show about the art of magic, slight of hand, performance, special guests. With your hosts Magicians 🎩 Brent Geris and Will Roberts. www.themagicapple.comThis show we talk about the history of magic, Spotlight magic!